Everyone needs a really good sandwich sometime, but sometimes they’re hard to find. If you’re in the Barossa though, you’re in luck. Years of catering experience creating the perfect lunch has been captured in the Barossa Sandwich Bar in Tanunda, where Barossa Fine Foods smallgoods, Barossa Valley Cheese Co cheeses, fresh fruit from She’s Apples, Trevallie dried fruits, Apex breads and Rohde’s Free Range Eggs are just the start of a super fresh, flavour-filled lunch. ‘Tis the season to be thinking about where to go for your end of year celebrations, so it’s great timing to be welcoming the Oasis Restaurant and Function Centre into the fold at Eat Local SA. Located on Langhorne Creek Road, this is a true oasis nestled in the farmlands of the Angas Plains. Maidment’s beef sirloin and baked B.-d Farm Paris Creek camembert feature on the menu, as does South Australian venison and mussels from Port Lincoln. Leave a bit of room for a few chocolate-coated coffee beans from Melba’s! 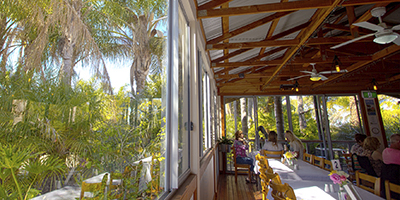 For over a century, the Port Elliot Bakery has been turning out freshly baked pastries, pies and breads and the original wood-fired oven is still hard at work. 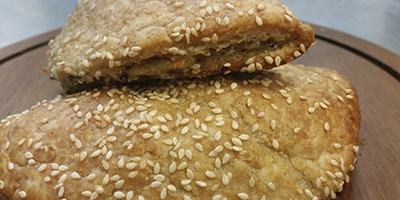 Ingredients in these delights include meats from Feast! Fine Foods and Indulgent Meats, Laucke flour, and Fleurieu Milk. Seriously local and seriously good! Nuts to you, and all of us, from Yummy Nuts Market – and lots of them, too. 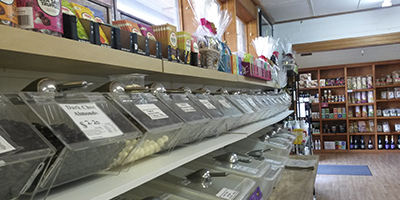 This is a haven in McLaren Vale for anyone hunting for bulk health foods, organic produce and gourmet goodies including Willunga gluten free pasta, Fleurieu almonds and dried fruit from the Riverland. We’ve already mentioned Christmas (sorry!) so maybe it’s time to start thinking about stocking up for those family Christmas cakes and puddings? Yummy Nuts would be a great place to start. Emu Ridge Eucalyptus have just won Best Farm Gate Experience at the Kangaroo Island Food, Wine & Tourism Awards for the second year in a row. And they’re celebrating with a 15% off sale until August 31. What better reason to visit this enticing spot soon? When is bacon simply better? When it’s artisan made, cold-smoked and altogether a revelation of the bacon-makers art. 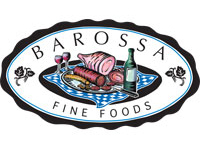 Which brings us to Barossa Fine Foods and Franz Knoll’s signature hand-cured salted bacon. Launched in July and garnering awards at an astonishing pace, this bacon is set to become another South Australian food icon. It’s dry-cured by hand, seasoned with a combination of pickling berries and spices infused with maple flavours, and slowly cold smoked over Franz’s special beechwood blend to produce a juicy and delicious result. Look for it at the Adelaide Central Market and selected outlets. If your family is working out which show bags you MUST have at this year’s Royal Adelaide Show, make sure the 2017 Gourmet Goodie Bag is on your list. Packed with great South Australian products, this bag is fantastic value – and jump on their Facebook page for giveaways and competitions now! It’s the 20th South Australian Living Artists (SALA) Festival this year, and there are almost 700 venues across the state showcasing art by local artists right now. We love a bit of art with our coffee and cake (hey, as far as we’re concerned coffee and cake are forms of art too) so if you’ve a yen for some locally inspired art with your locally inspired lunch, check out these great exhibitions before the end of August. If you are treating yourself to the ethereal flavours on the menu at the Botanic Gardens Restaurant, stop in at the North Lodge for Susan Napoli’s textiles inspired by her love of gardening, and if you are a fungi fan, Michelle Kelly has been exploring the State Herbarium’s collection to create her Collections Project exhibition. In Norwood, funky art and craft space ( and gluten free/vegan specialists) Brick + Mortar are showing Corinne Pettigrew’s large scale works featuring skies and constellations. They have also been offering picture book and stencil art workshops with Claire Richards. A tour to the Fleurieu Peninsula for a weekend treat should always include a stop at The Kitchen Door at Penny’s Hill, which will give you a chance to check out 7 @ Penny’s, an exhibition by contemporary artists Gail Kellett, John Lacey, Jeni Mumford, Brian O-Malley, Margie Sheppard, Suzie Riley and Katie Watt. The August menu here is a tour de force, but what we love best is that you can ask the Kitchen to choose for you – who knows what off-menu local surprises could be in store? Nearby, at what is arguably one of South Australia’s busiest gallery cafes, Red Poles, yowls and growls are the side order with your meal, in the exhibition Creatures – Real and Imagined featuring Fran Callan, Gary Campbell, Donna Chess, Kel Chester, Sarah Jane Cook, John Davis, Cheryl Hutchens, Zinia King, Pip Kruger, Luna Bird, Mabel, Emily McAllan, Lorelei Medcalf, Michele Nooteboom, Rebecca Prince, Mary Pullford Claire Richards and Lucy Timbell. Our tip while contemplating all this creativity is to feast on the Clappis bread, housemade salted butter and Brian’s olives, crumbed and filled with feta and oregano, served with paprika aioli. If you are heading up into those award-winning Adelaide Hills, stop by FRED Eatery for Heather Little’s exhibition A Little Bit Sassy inspired by sassy little cocktail frocks, and up on the mezzanine you will find works by the JamFactory Ceramic Associates, including emerging artists Connie Augoustinos, Jordan Gower, Ebony Heidenrieich, Ashlee Hopkins, Kerryn Levy and Madeline McDade. Their exhibition is titled Pretty, Useful. Also pretty useful is the chocolate vanilla slice, if they happen to be making it when you stop by. At O’Leary Walker Wines’ Adelaide Hills cellar door located in the historic Johnston Brewery in Oakbank, illustrator Maya Kolega and graphic designer Claire Leuenberger have collaborated to create Villecreativexmayakolega, an exploration of how art can bring people together. Just like food! Make sure you leave room for one of their inspiring cheese plates loaded with the likes of Onkaparinga Creamery Brie and Udder Delights Heysen Blue or settle in for a grazing plate, where you might find Max Noske and Son mettwurst and Limestone Coast Persian feta making an appearance. The iconic Bridgewater Mill is exhibiting the first collaborative exhibition by Community Living Australia, featuring artists living with a disability, titled Together We Achieve, which celebrates their goal of creating a society of inclusion and diversity, and Gary Ellis’ Two Corners, an intriguing show illustrating two city corners, one in Harlem and one in Melbourne. There have been a few changes at the Mill over recent months, and all for the good. Regional share platters riffing on Japanese, French, Middle Eastern and Mediterranean flavours are the order of the day, the vegies come in fresh from their very own garden in Aldgate and there’s coffee and cake from 10am Thursday through to Monday. 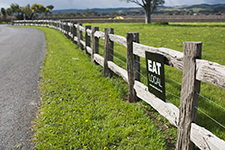 A la carte options feature the likes of Coorong Angus beef sirloin and Hay Valley lamb. And what if a trip to Tanunda is on your itinerary? 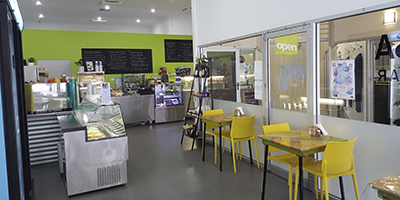 Stop in at the 1918 Bistro and Grill to sample the menu featuring superlative Barossa Birds poultry, pork from The Dairyman and Blenkiron’s Farm and veg grown by the kids at the Tanunda Lutheran School, served up with a bold exhibition called Life Art by Hayley Kroschel. Who says August is grey, cold and dull? No-one in South Australia! Around here, August is when we can feed our tastebuds and our souls, right across this great state. Happy 20th anniversary, SALA.